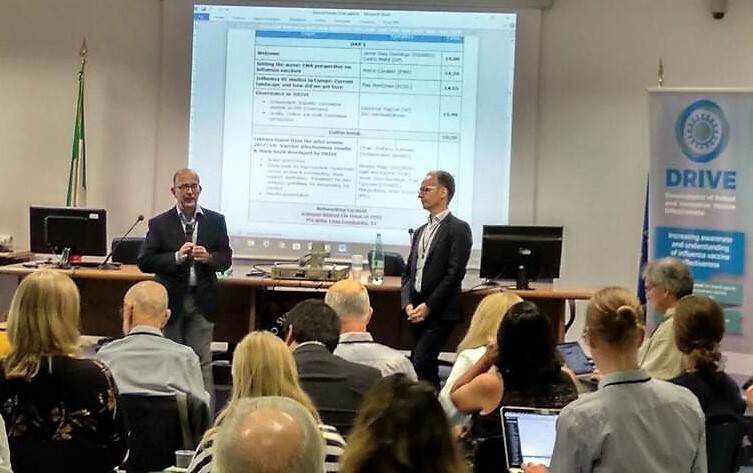 DRIVE celebrated its first Annual Forum in Rome to discuss with different stakeholders the DRIVE governance model, the lessons learnt from the pilot season 2017/18 and the best way to communicate Influenza Vaccine Effectiveness results considering different stakeholders. 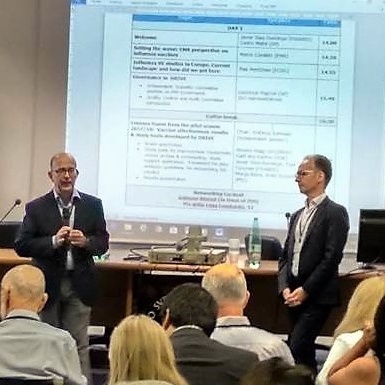 The Forum counted with the participation of 34 stakeholders, including the European Centre for Disease Prevention and Control and the European Medicines Agency, who actively participated in the discussions. A special workshop on DRIVE´s research agenda and study platform governance was also organized, aiming at collecting valuable insights from external stakeholders. The Annual Forum and the workshop were full of lively discussions and meaningful interactions that will significantly contribute to take forward the project. The DRIVE project was launched on July 1st, 2017 and has been sponsored by the European Union’s Horizon 2020 research and innovation programme and the European pharmaceutical industry (via EFPIA) under the auspices of the Innovative Medicines Initiative 2 Joint Undertaking. For more information contact info@drive-eu.org or check out https://www.drive-eu.org/.